Get the pdf/digital Winter 2018 issue of Torah Sisters Magazine to download and read online, offline or print on your home printer. You’ll get immediate access to your download file. NOTES: This is a single issue only, not a subscription. It’s a downloadable product. Nothing will be shipped. Find encouragement, ideas and connections. You’ll love articles that relate to YOU and YOUR torah life in Yeshua. Our contributors are ladies (and maybe the occasional man) who follow Yeshua as Messiah and guard Torah. If you’re feeling a little lonely in this walk or want some encouragement or inspiration, then this magazine is for you. Feast and Sabbath Ideas Abound! Articles, tips and ideas about the Sabbath and the Feasts are frequent in Torah Sisters Magazine. Be inspired, see how others celebrate, and be drawn into deeper worship on these precious Moedim. Inside, you’ll be drawn in by our talented contributors’ ideas for making your everyday more enjoyable, easier or fun. We’ll provide articles on everything from footsie scrubs, to decorating, to crafts and more! Deepening your spiritual walk with YHVH through His Son, Yeshua, is central to Torah Sisters Magazine. Be encouraged by articles that will challenge you from Scripture, lead you to the Savior and help you walk through your darkest days. Cut out the Torah Portions page to put on your fridge or into your Bible for easy reference. It’s so pretty! You’ll also get a Scripture poster pretty enough to frame. 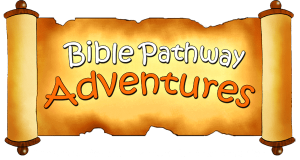 The kids will enjoy the activity pages from our friends at Bible Pathway Adventures.